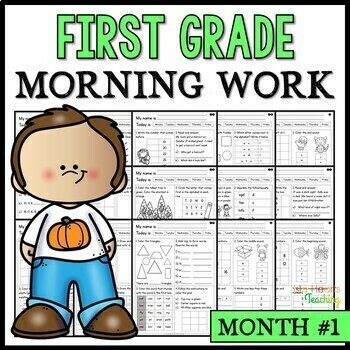 First Grade Morning Work: This pack contains 25 printables for first grade! 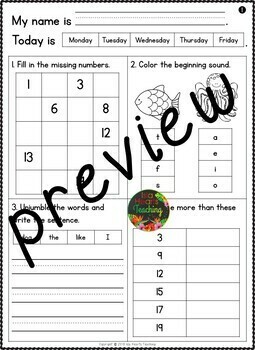 (That's enough to cover the entire first month of school with some additional sheets to 'teach' the format to your class!) 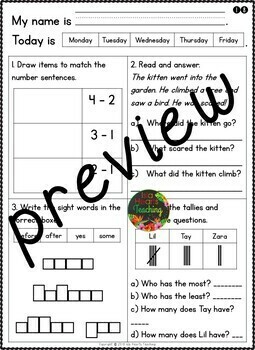 With a focus on ELA and math, this morning work pack eases your students into first grade by covering a combination of kindergarten + first grade standards. 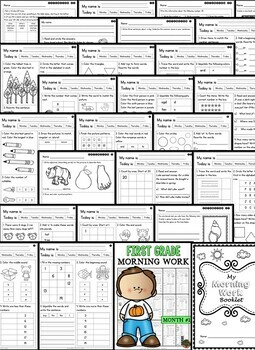 In addition to the 25 morning work printables, this pack also contains 25 extension sheets (for your high ability students) + motivational certificates!